Heehee I am the SUPEREST! Faster than a speeding sausage! Able to... GREAT SCOTT! Yes, that is a derpy corgi dressed as Superman. 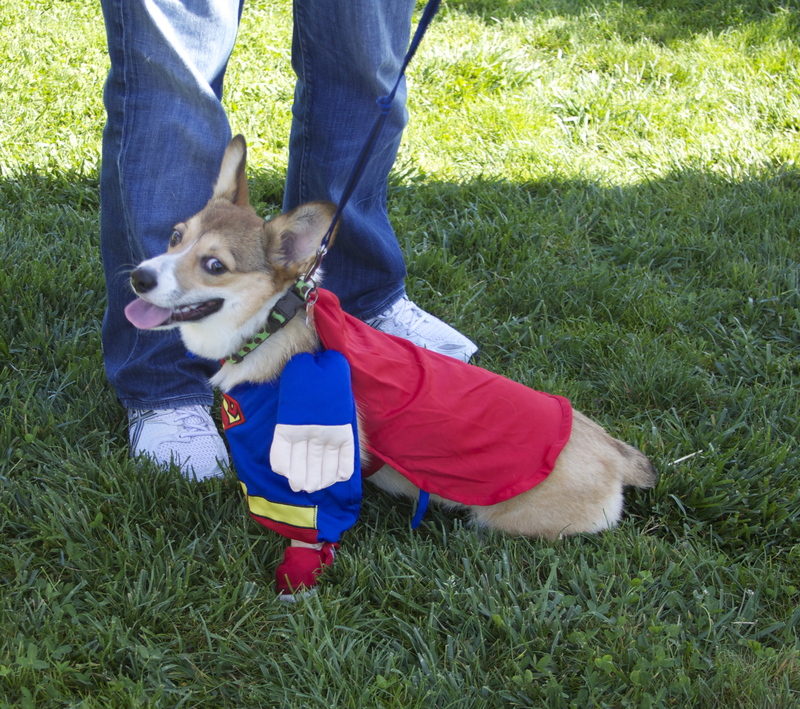 Lesson 1: it is REALLY HARD to get low enough to the ground to get a good picture of a corgi dressed as Superman.